Burglar Caught in the Act of Burglarizing Home Taken Into Custody, LIVINGSTON, December 1, 2012 - During the morning hours of November 28, 2012 the Deputies from the Polk County Sheriff’s Office responded to a burglary in progress call at a residence on FM 350 north near FM 942. Upon their arrival Deputies observed a white male subject leave the residence. The suspect, who was later identified as Jason Marcus Harris, 33, of Livingston, was immediately taken into custody. Detectives from the Polk County Sheriff’s Office responded to assist Deputies in the investigation. During the course of the investigation it was discovered Jason Harris had taken jewelry from the attached building then made entry into the residence just before Deputies arrived. The small Mazda truck Mr. Harris was driving was towed by Ken’s Towing to the Polk County Sheriff’s Office where it was impounded for further investigation. 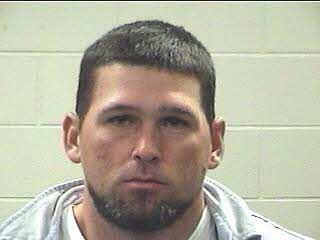 Jason Harris was booked into the Polk County Jail on charges of burglary of a habitation which is a degree felony. Jason Harris is currently under indictment for prior charges. With the current indictment the Polk County District Attorney’s Office requested a hearing before the District Judge to place a NO BOND on Jason Harris for this charge. Judge Wilson granted the no bond and Mr. Harris was returned to the Polk County Sheriff’s Office where he will not be eligible to be released on a bond.